The long wait is almost over! Mizuki Shigeru’s Showa 1926-1939: A History of Japan arrives in stores November 11th!!! I hope everyone is as excited as I am. I guarantee this is one of the most incredible comics you are likely to read this year. I can’t honestly think of anything that it compares to. It’s the kind of comic you could never see in the U.S.—I like to say it is “What if Carl Barks had written Howard Zinn’s A People’s History of the United States but done it as a comic book using Donald Duck as the narrator?” Or maybe if Pixar decided their next feature film should be Buzz and Woody from Toy Story leading a detailed narrative on the US’s involvement in the Middle East, and exactly how 9/11 happened and what the worldwide repercussions were. Then juxtapose that with a quaint story of growing up in the Middle East during that time. It sounds weird, I know. But trust me. It’s awesome. Showa is both epic and intimate. It tells the story of any entire country—multiple countries, actually—all the while being a deeply personal tale of young Mizuki Shigeru and his unusual life. It is a cautionary tale, showing how countries can slide from fair, democratic nations to warmongering monsters in only a few decades. It’s also nostalgic, funny, and downright bizarre at times. 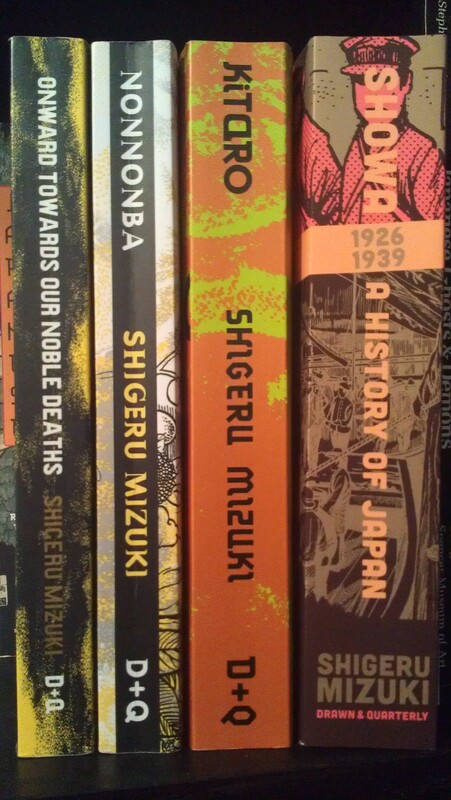 If you have read Mizuki Shigeru’s other comics like NonNonBa and the Eisner-winning Onward Towards Our Noble Deaths you will recognize some of the scenes—these are the accounts that Mizuki Shigeru fictionalized for those two comics, told here in all their often harsh reality. The book itself is just beautiful. I spent months of my life with Showa—translating it, then working with the fine editors at Drawn and Quarterly to fact-check and tighten the translation down until it was perfect—and I was still blown away when I got the physical volume. It is huge. An absolute brick. Almost twice the size of NonNonBa and Onward Towards Our Noble Deaths. And I love the oversized edition. The original Japanese edition that I translated from is nowhere near as nice—or as huge—as this English-language edition. And engrossing to read. Once through is not going to be enough. You are getting your money’s worth with this comic. 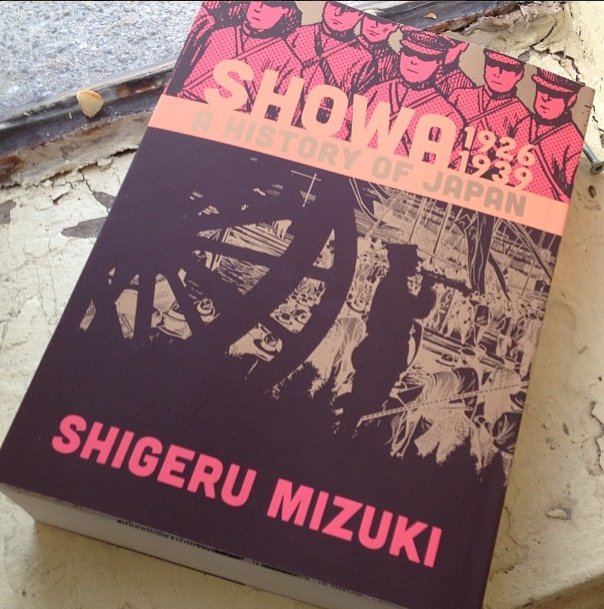 There is still time to preorder Showa 1926-1939: A History of Japan and to guarantee you get a copy. 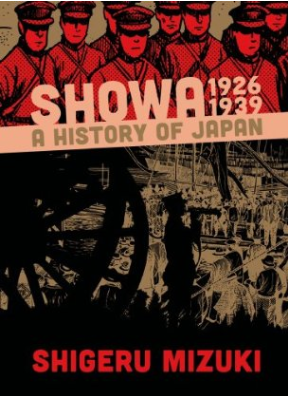 You can preorder it here (Showa 1926-1939: A History of Japan) from amazon, or support your local comic shop by picking up a copy there. 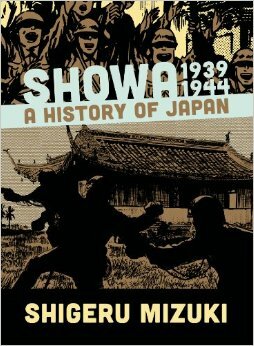 Then Preorder Showa: 1939-1944: A History of Japan!!! You can preorder Showa 1396-1939: A History of Japan here (Showa 1939-1944: A History of Japan) from amazon. Thank you for reminding. I just did with my (1-Click- preorder) arthritis finger…haha..
“Your Amazon.com order of “Showa 1926-1939: A History…” has shipped!” Looking forward to receiving it tomorrow. Congratulations and thanks for the hard work! Just opened the Amazon’s little box. this very second…hee hee… Thank you babe. That was amazing! I got my copy right on the 12th as well! I thought it would ship on the 12th, and that I wouldn’t get it for a week or so. Let me know what you think of it!!! 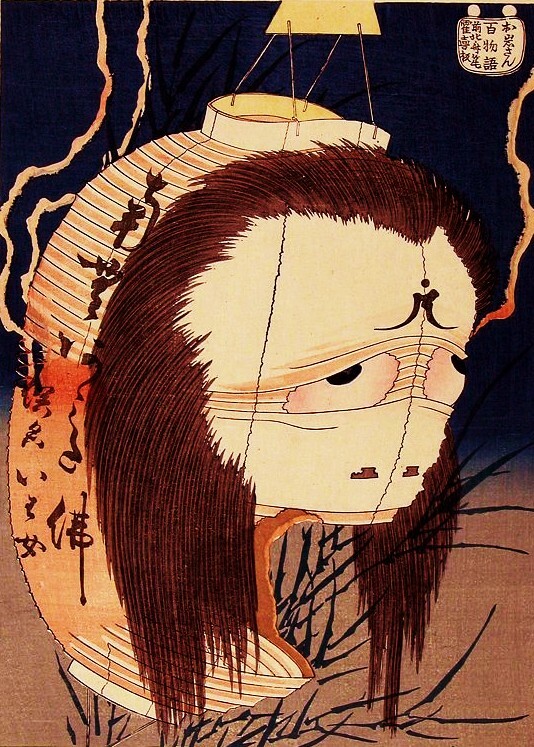 Question: the 8 volumes of the original japanese edition cover from 1922 to 1989 so I would like to know if there are cuts in the first part (1922/26) and if there are other volumes that will follow (1944/89, mostly half of volume 5 untill the 8) because as it is this two books don’t cover all the story.